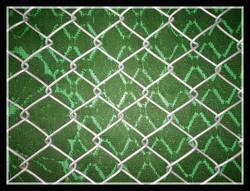 We are a leading Manufacturer of pvc coated chain link fencing, galvanized chain link fencing, poultry jali, chain link fencing, g i chain link fencing and welded mesh from Nagpur, India. 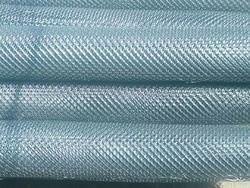 Mesh Size 2" to 4"
Our clients can avail quality Galvanized Chain Link Fencing, which are available for fencing of the gardens, tennis courts, residential or farming land, factory or boundary layouts and poultry. These line fencing are manufactured with galvanized iron (G.I), ms wire and stainless steel wire and can be customized according to clients requirements. 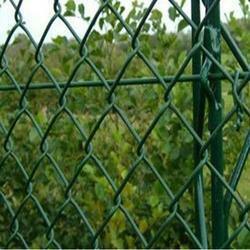 For our clients, we have PVC coated Chain link fencing, which is manufactured with precision. Our range is made available in various sizes. Our chain links in some sizes can be an ideal option for application in conveyor belts. Poultry Fencing available in 1" hole in 1.5mm and 2mm thickness in width upto 12 feet. 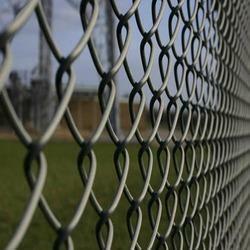 Mesh Size 1" to 6"
Owing to our years of industry experience, we are providing a wide array of GI Chain Link Fencing. Our offered products are exclusively made in compliance with universal industry norms using the reliable material and superior technique. Our experts make the entire array in varied specifications, in compliance with details specified by clientele. Our clients can avail quality Chain Link Fencing, which are available for fencing of the gardens, tennis courts, residential or farming land, factory or boundary layouts and poultry. These line fencing are manufactured with galvanized iron (G.I), ms wire and stainless steel wire and can be customized according to clients requirements. 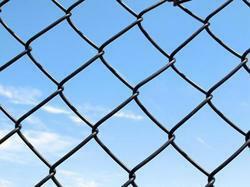 For our clients, we have PVC coated Chain link fencing, which is manufactured with precision. Our range is made available in various sizes. Our chain links in some sizes can be an ideal option for application in conveyor belts. Size FROM 2" TO 4"